The western prairie fringed orchid, a perennial herb, can grow up to 4 feet tall. In the summer, its flowering stalk is covered in up to 24 white flowers, each with a fringed lower petal. The flowers are pollinated at night by hawk moths. The western prairie fringed orchid requires full sunlight and prefers tallgrass prairies and hay meadows. Periodic disturbance of its habitat, such as by fire or grazing, is important for the plant’s continued health but can also be detrimental if timed incorrectly. Only found west of the Mississippi River, the western prairie fringed orchid historically ranged from North Dakota and Minnesota south to Oklahoma and Missouri. The plant is now primarily found through the middle of that range, from Colorado to Iowa, with small populations scattered north and south. Much of the western prairie fringed orchid’s habitat has been converted to crop fields, where intensive mowing, changes in drainage, decreased fires and overgrazing have harmed the plant’s ability to survive. The orchid is also dependent on hawk moths for pollination, meaning any threat to that species is also a threat to the plant’s survival. 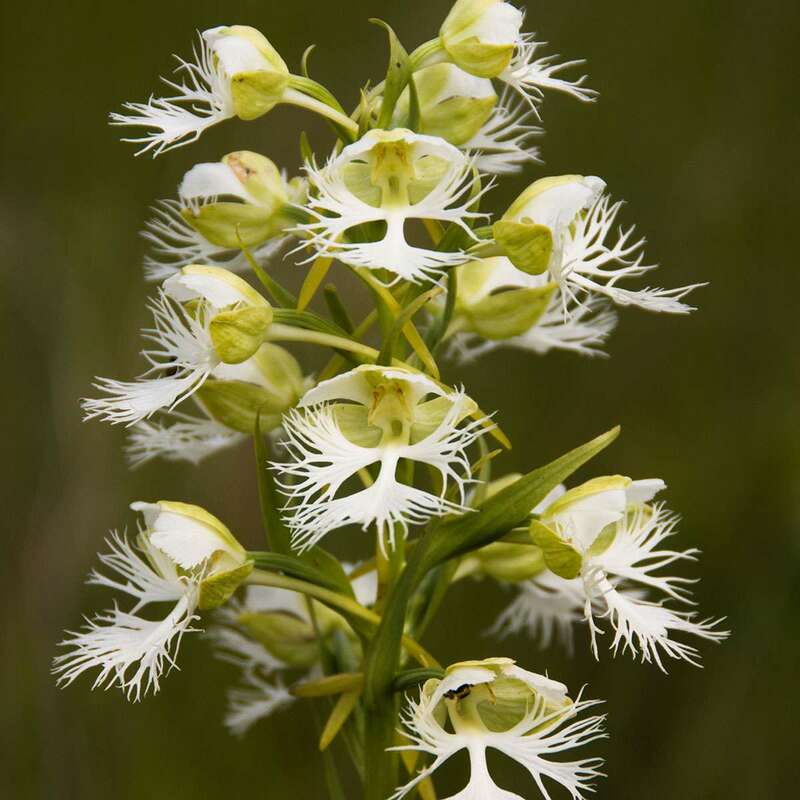 As of 2009, just over 80 percent of the population of western prairie fringed orchid was located on protected land. By studying the orchid and its habitat, scientists can develop management plans that move the species towards recovery. Take action to protect Pipestone National Monument.